They say the mission is to make it easier to dump your car and walk ride a bike or take a bus in the Southernmost City. It seems natural in a compact flat urban environment and I know long time residents of Old Town think cycling is as natural as breathing but it doesn't work that way for other people who feel threatened by their car being taken away. I have my doubts not because I think it's an unworthy goal I just don't see Key West as awake enough to embrace the alternatives to the car. Perhaps I'm short sighted; I hope so. For the longest time, perhaps 40 years Key West has enjoyed a reputation as a home to the "uniquely gifted" the eccentrics seeking refuge from mainland USA, propelled by the gay guesthouse craze of the 70s and 80s which in turn was fueled by the assorted liberation struggles of the hippy era. However Key West no longer has a place in the gay firmament as house prices are too high and the rest of the mainland has caught up with the pioneers of gay liberation. Obviously discrimination exists but its equally obvious being gay is no longer enough of an issue t drive members of the gay community into refuges to escape mainstream harassment. This fact alone means Key West itself has become mainstream, especially as the other driver of Key West's eccentric reputation has been wrecked by the house price wars driven up by moneyed mainstream America seeking nothing more eccentric than a second home in the sun. The powerful literary voices that settled in Key West have also fled, driven out by prices that no longer permit marginal living. Rents are ridiculous and people have paid millions for their winter homes are in no mood to look out the window and stare at street people mooching free tropical lifestyles at their expense. So Key West lives on skating by with a reputation for alternative living and it seems to me missing the boat entirely. This is a very conservative town. It's true, drinking and partying are encouraged in this town, this is a place where unbridled gluttony is actually promoted as a civic virtue but the reality is that it getting drunk is a release. This isn't a town that promotes civic involvement or radical free thinking. The apple cart is very finely balanced and upsets are not part of the program. There is a lot of money to be made the way Key West is set up and change makes the people at the top nervous. That the path this city is on remains unsustainable is of no interest. People ask if they should swim the reef and my answer is along the lines of: if you have swum coral reefs elsewhere don't bother, because this reef pales in comparison, literally as bleached and dead coral is everywhere. So, aside from drinking what is there to do? Tons of stuff all involving motorized transport, paragliding, jet skis, etc... Cycling as an activity in Key West is not my idea of fun. Traffic is tight and angry. Drivers hate cyclists because they "break the law" by running stop signs and stuff the car drivers cannot emulate. Streets are narrow and Americans are not well trained in driving narrow spaces. So nervousness is high. I noticed the difference in Italy once again, where personal space in the street is not a requirement and squeezing through is second nature. The mayor had this vision of a city hall on White Street in the old school building, a sensible location in an imposing structure. The chorus of criticism must have come as no surprise and they were so loud. Mayor Cates pressed on and his burst of creativity surprised me. Nineteen million bucks later it's done and it looks great. Of course the solar panels - a little sustainable touch- came in for their share of grief too. They tell us recycling has reached almost a quarter of the waste stream in the Lower Keys which strikes me as suspiciously high. Take a look in any recycling can and you will see more garbage and plastic bags than recycling. Essentially it's all trash. And these are the people who are supposed to dump their cars in favor of public transit bicycles and walking. Ok then. My own vision of a forward looking Key West would include a pedestrian-only Duval Street with a revival of interesting local businesses. I have seen other pedestrian streets in truly progressive cities an they are a place you won't to be. Duval Street is not appealing the way it is now frankly and that could change, not easily but the ship of chain stores and boring pseudo-art sales could be presented as something better. The other issue is if you dump the car you have to make transit rational and frequent and inexpensive (free would be best). 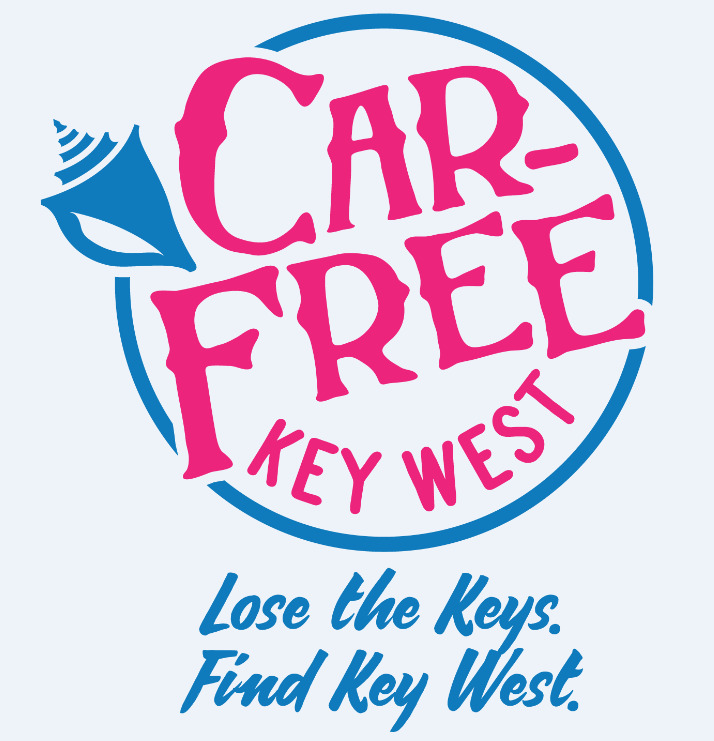 I have looked into using the Lower Keys Shuttle to commute but it simply doesn't work. The schedule is weird, the buses infrequent and I don't want to spend an extra three hours commuting. The bus schedule downtown is impenetrable. As an alternative to driving I don't see it working real well. If cycling is the alternative there is going to need to be some street modifications, one way systems, proper bicycle paths and the lumps of aged abandoned bicycles will need to be cleaned up and destroyed. Not only are they a blight but they choke up the bike racks. Beyond all that cycling in Key West is a sweaty business and as odd as it may sound office workers in the Southernmost City are not encouraged to show up with perspiration staining their clothes or their faces. There are quite a lot of hurdles here. A recent round of righteous indignation concerned proposals to build two parking structures downtown. One was to be built next to the new two million dollar condos off Simonton Street so you can imagine how that went over. The other was further inland on an existing parking lot as I recall. Both were shot down.The trouble with all the indignation is that these cars pouring into the city need somewhere to park. 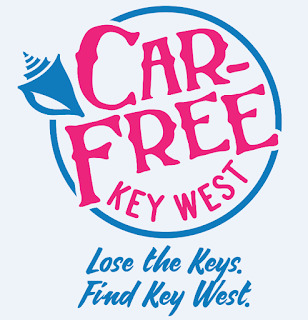 Furthermore if a car free Key West really is in the future there will be a need for a lot more. It all just seems intractable to me. There is a rising tide of sentiment against advertising for more tourists to visit the Keys as the feeling is we are pretty much full up for nine months of the year. And yet we all live on the fine edge between too many and not enough. So how do you give up the certainty of the present state of affairs and take a leap into the dark of trying to make a better future? I have no idea. And what bothers me is our leaders don't seem to even be posing this issue to themselves, never mind coming up with a comprehensive plan to carry this small middle of the road little town with a real estate problem into the bright sunlit uplands of a future filled with sustainable traffic, affordable housing and enough room to breathe.